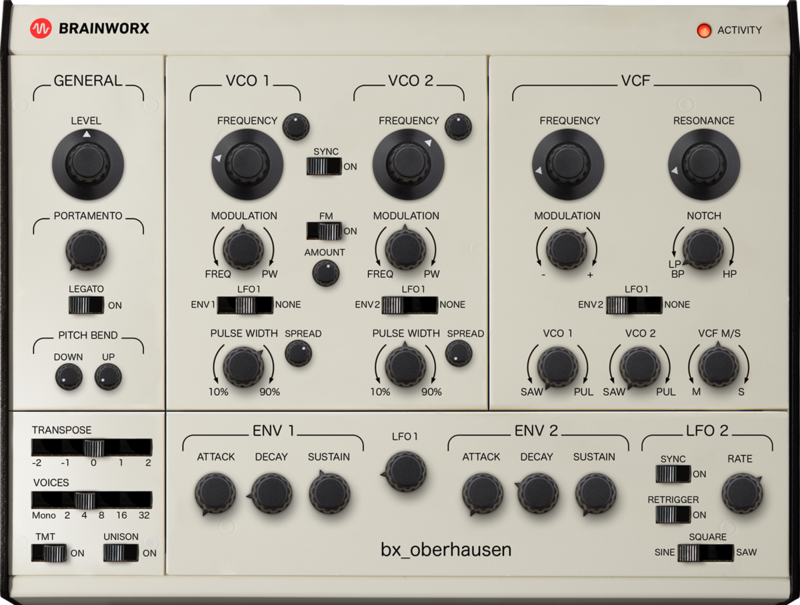 bx_oberhausen draws deeply from Brainworx Audio’s extensive experience of working with analog audio equipment to creatively craft toptier mixing and mastering plugins. As the cutting-edge company’s highly-anticipated first VI, it effectively revisits an acclaimed analog synthesizer expander module much loved by generations of musicians for its sought-after sound. The sound itself is reliant on fully-analog, discrete circuits and a classic state-variable 2-pole filter. First introduced in the Seventies, that trailblazing synthesizer subsequently proved popular — so much so that it was reissued in various form factors by its iconic creator using the same circuits as the original.